A leading ecommerce platform, Magento has many great features can bring online retailers substantial benefits. But still, there’s a bit of a fly in the ointment. 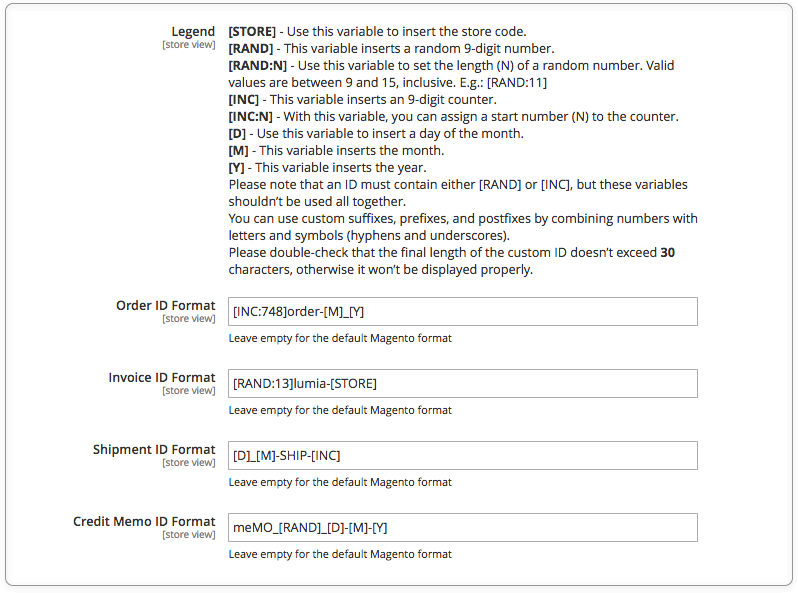 By default, the algorithm applied by Magento to order document numbering cannot be changed. 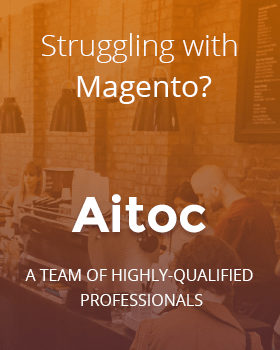 This issue is very common among the Magento community, as the platform provides bulky and complex order IDs, leading to an inefficient order keeping practice. Besides, there’s a risk that other merchants may spy out the store’s sales volume by making regular purchases there (e.g. once a month). Once the order is placed, buyers are shown the order number and villain retailers can roughly estimate sales figures by comparing order document numbers. This poses a real threat of disclosing your sensitive sales data. 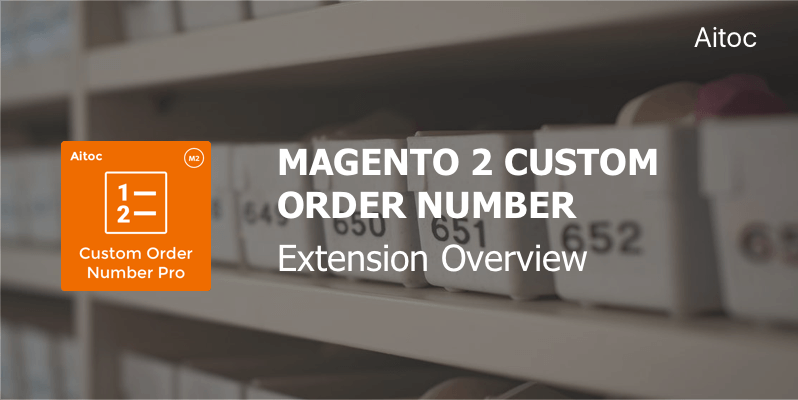 With that in mind, we designed Custom Order Number for Magento 2, a specialized plugin that allows configuring custom sales document numbering rules in Magento. The solution provides for an ability to easily change the IDs of different sales documents. With the help of Aitoc extension, you’ll be able to set unique numbers for any of your sales documents to make them look just the way you need. Let’s have a look on Custom Order Number’s capabilities in more detail. 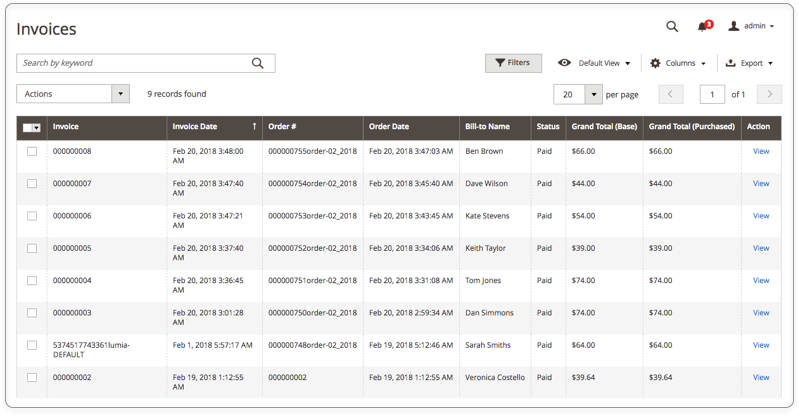 With this Magento 2 module, admin users can assign custom numbering rules to the following sales documents: orders, shipments, invoices, and credit memos. Custom IDs can be applied to either all the documents or just to one of them. There are some other great things about the extension: you can use different ID numbering rules in each store view. You’ll never see the same IDs in the grid: the extension automatically checks for duplicates. To make it possible to configure document IDs in the most flexible way, we introduced a large set of different variables. Depending on your needs, you can insert store codes and counters, introduce a random number to the ID, and add a day of the month, a month, and a year. You can also combine numbers with letters and symbols (hyphens and underscores) to create custom suffixes, prefixes, and postfixes. Use any of these tools and arrange them in a custom order to produce IDs of the necessary format and length. Please note that each custom ID must contain either [RAND] or [INC]. Please pay attention to the final length of the ID. To ensure its proper visibility in the grid, we recommend that it should be no more than 30 characters. Need custom IDs for a limited time only? Not a problem! Using the extension, you may switch between default and custom ID formats whenever you need. 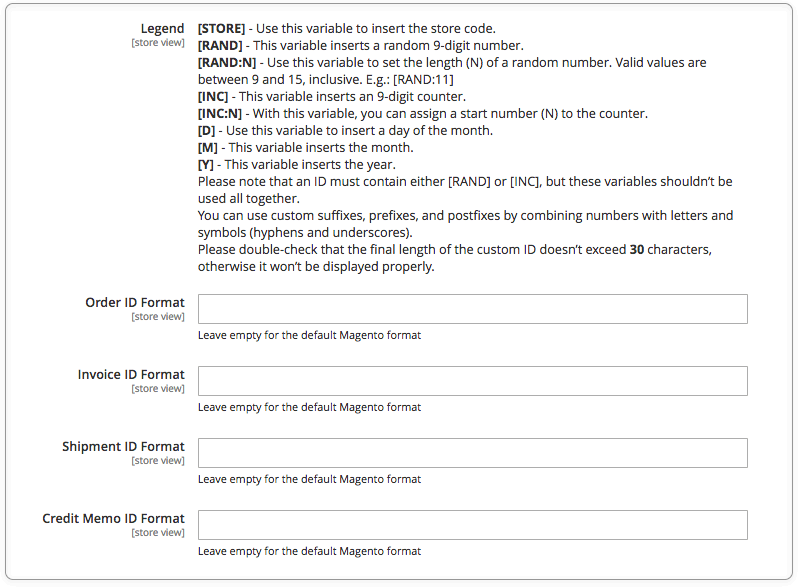 Custom Order Number for Magento 2 provides a great way to get sales document numbering under your full control by improving the default functionality of Magento with a custom document numbering algorithm. With the help of the module, you get the opportunity to organize and store your orders and related files in the most effective way. Not only will you have your documents in order, but also ensure complete compliance with legal requirements for document numbering.